Screen Capture of the Towering Oaks Website. I try to include examples of my photos in use across the internet, and the most recent example can be seen at http://www.toweringoakshaven.com. 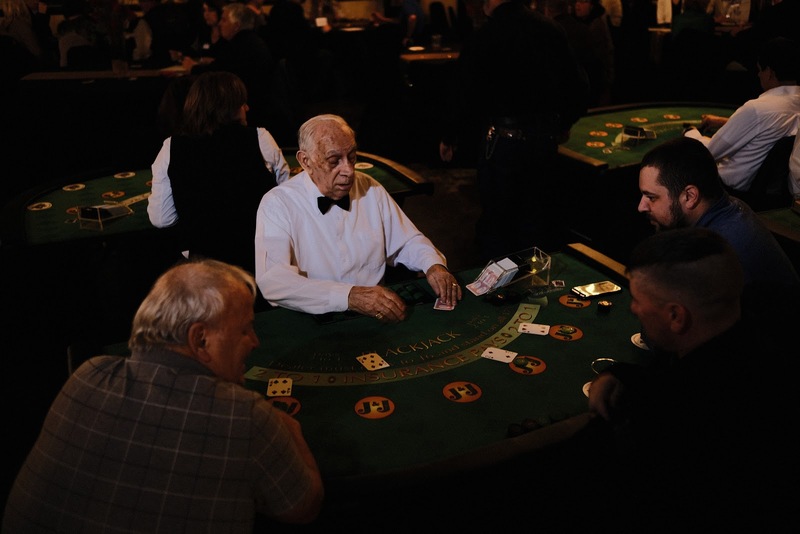 The local chamber of commerce hosted a casino night for business owners, where gamblers could use play money and the gambler with the most at the end of the night won a few prizes. The event was a little difficult to shoot because it was at night, and the lights inside the venue were of different color temperatures, and the large space filled with many people was difficult to light adequately. I decided to simply have bare flash, and set up three light stands in the available corners of the room, and shoot away. It wasn't the most controlled set-up I've achieved, but the results are great, and the chamber of commerce was happy with the results. I am really enjoying the photography business, and hopefully I'll have some product photography to share in the future. Until then, please enjoy the Towering Oaks Haven website, and my photography portfolio here: http://lindyweston.photography.